Adam and I enjoyed a holiday-themed winter staycation over the weekend--see all the details on the blog below! 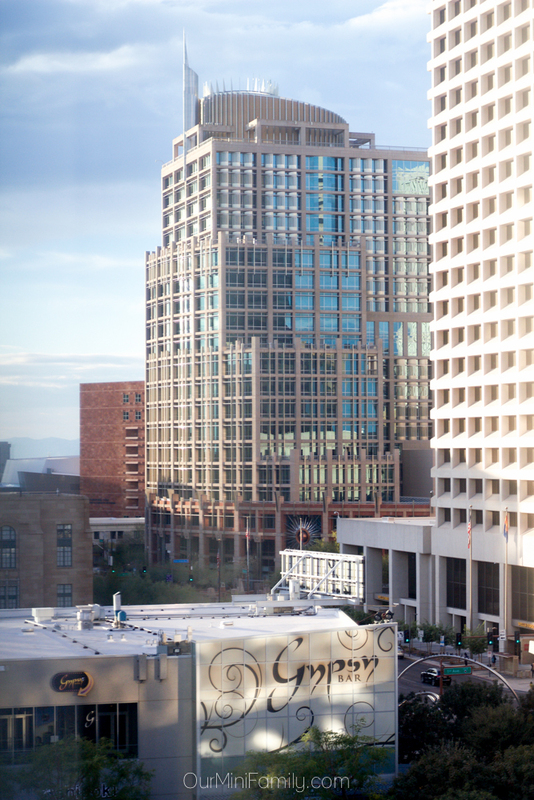 Thanks to Kimpton Hotel Palomar Phoenix for hosting our weekend! Adam and I plan to do more traveling next year as one of my personal goals for the new year, but we always love to take advantage of living in the valley with so many amazing hotels, restaurants, and places to see that we have never experienced before. 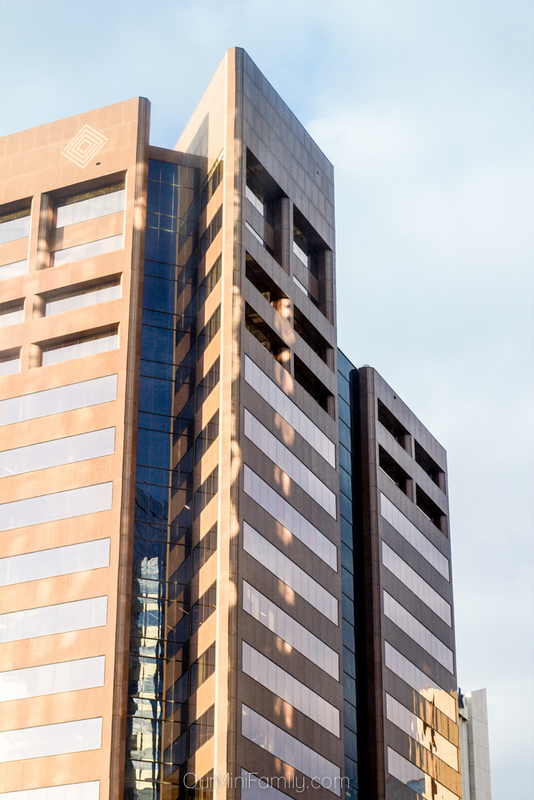 This weekend, we saw downtown Phoenix like we have never seen it before and had all new food, experienced new places, and stayed at new accommodations. 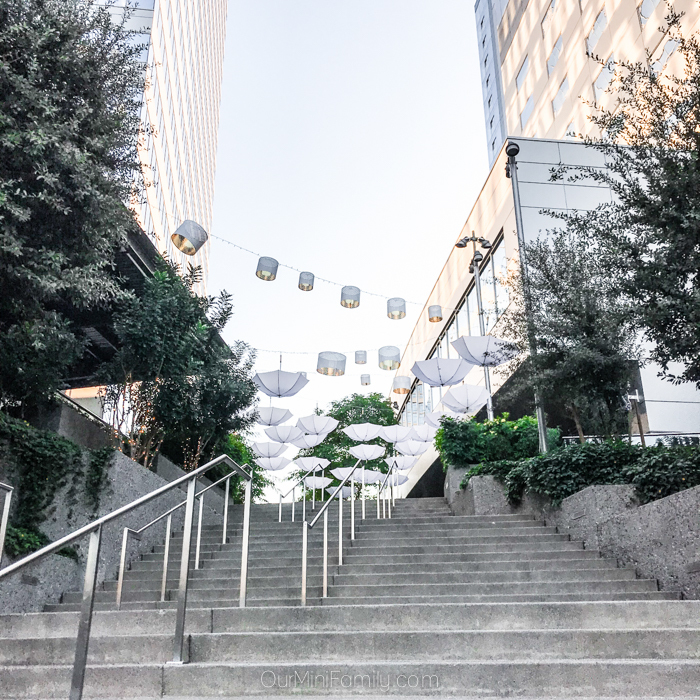 Over the weekend, Adam and I took a quick escape to downtown Phoenix for a staycation so we could enjoy some fun in-between the chaos of our holiday preparations and busy work schedules! 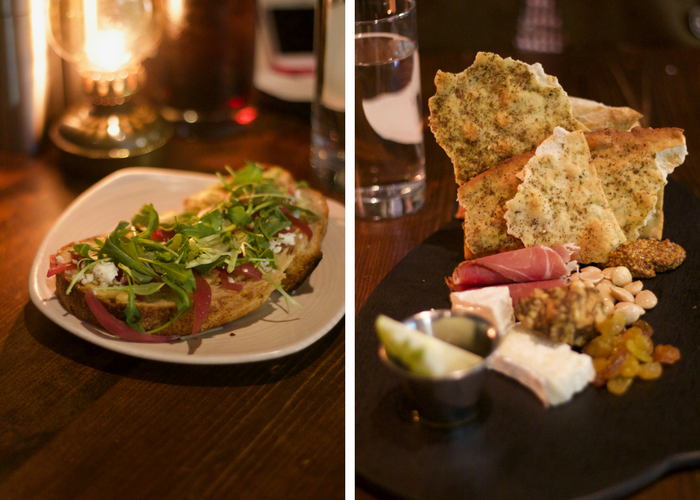 We spent our weekend exploring downtown, enjoyed CitySkate at CitySkape Phoenix for the first time, had dinner at Blue Hound Kitchen & Cocktails, and stayed at Kimpton Hotel Palomar Phoenix to take advantage of how close everything was to enjoy all weekend long! We live about 30 minutes from downtown, and luckily since we are still pretty close to the light rail we jumped on and headed west into town. Our first stop was Kimpton Hotel Palomar Phoenix to see if our room was ready, and then we took off on foot and wandered around downtown until we stumbled upon a sports bar. Since it was Sunday, we wanted to make sure we sat down and enjoyed some football since it is basically mandatory in our house (happily mandatory, of course). We had a light lunch and a few beers, and we watched some football and headed back to Kimpton Hotel Palomar Phoenix to check in. 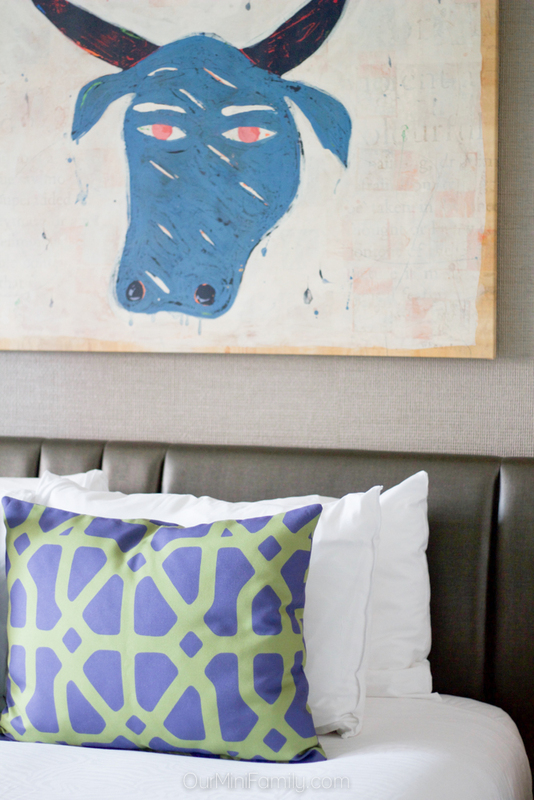 Our deluxe guestroom at Kimpton Hotel Palomar Phoenix was so modern and convenient. 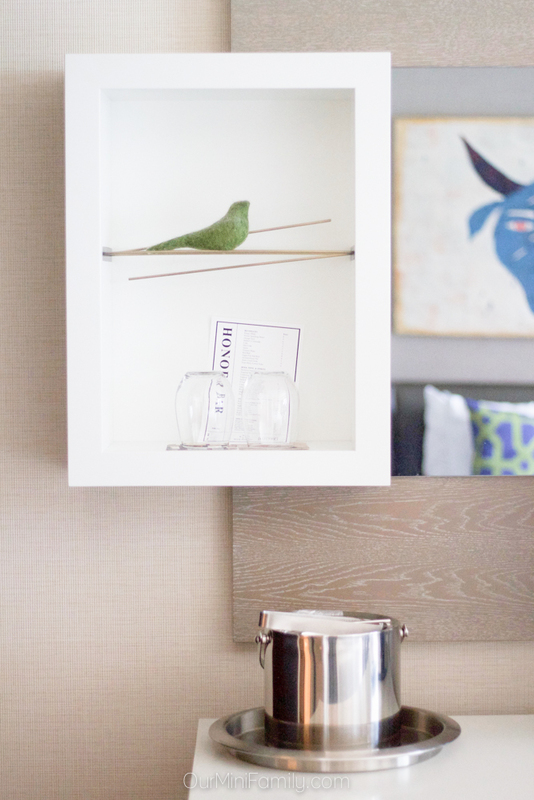 We like to take advantage of all of their great amenities they have and we always enjoy when we stay at Kimpton hotels! We contemplated their free rental bikes into town, but it was a bit cold and drizzly outside so we opted to stay inside. Since Adam likes to listen to EDM while he gets ready for a night out, we had SoundCloud on the speaker in our room while we were getting dolled up for our dinner at Blue Hound Kitchen & Cocktails. 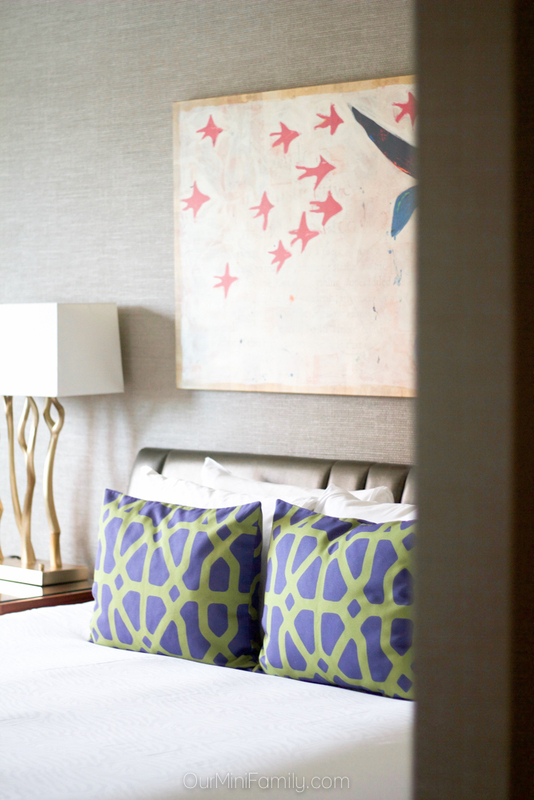 With so many great Kimpton amenities, it's hard to not feel a little bit spoiled during a quick and convenient staycation in the middle of the holiday season! After spending some time relaxing in our room and getting ready, we walked down to Blue Hound Kitchen & Cocktails for our dinner reservation. 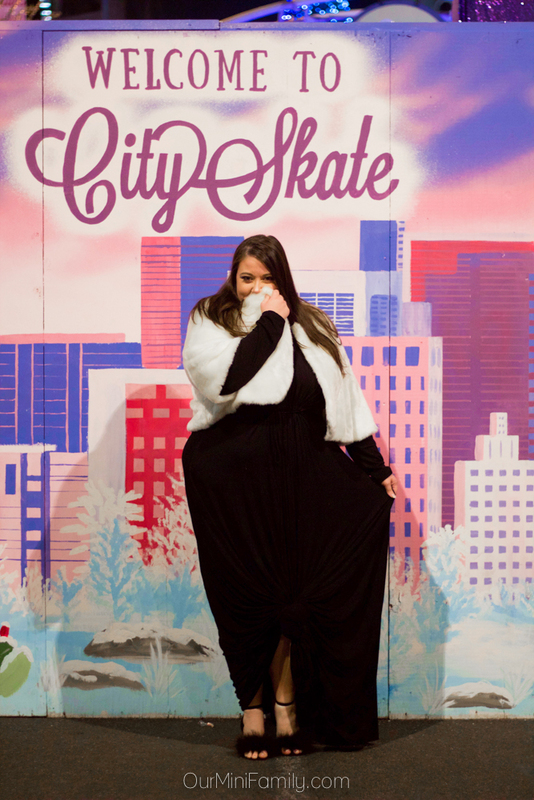 After our dinner at Blue Hound Kitchen & Cocktails, we grabbed our winter jackets and headed down to check out CitySkate at CitySkape Phoenix for the first time! 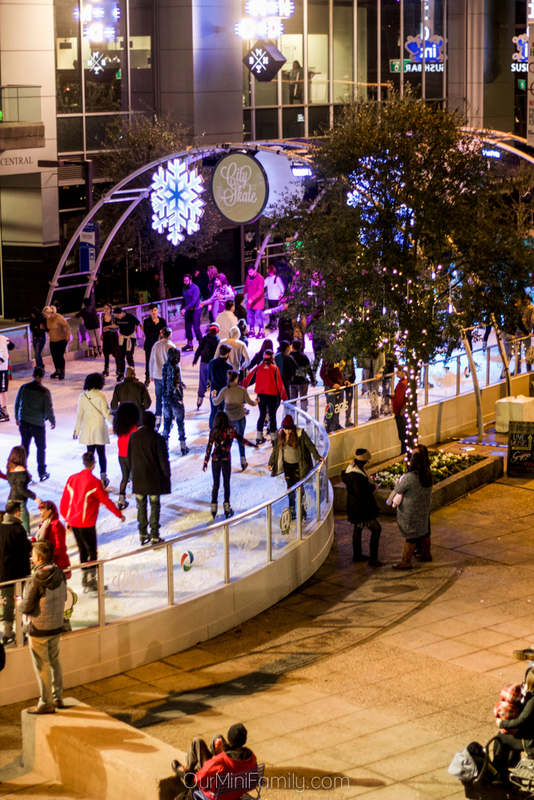 When I heard that CitySkate was named one of the best ice rinks in North American by Travel Channel I knew that it would be pretty epic, but I had no idea just how beautiful of a job they did to transform CityScape Phoenix into a gorgeous winter wonderland scene right in the heart of the valley of the sun! Their gigantic Christmas tree took my breath away, and we had fun watching all of the families enjoy ice skating around the tree while we sang along to the Christmas music and sipped on some hot cocoa we got from their hot cocoa stand. 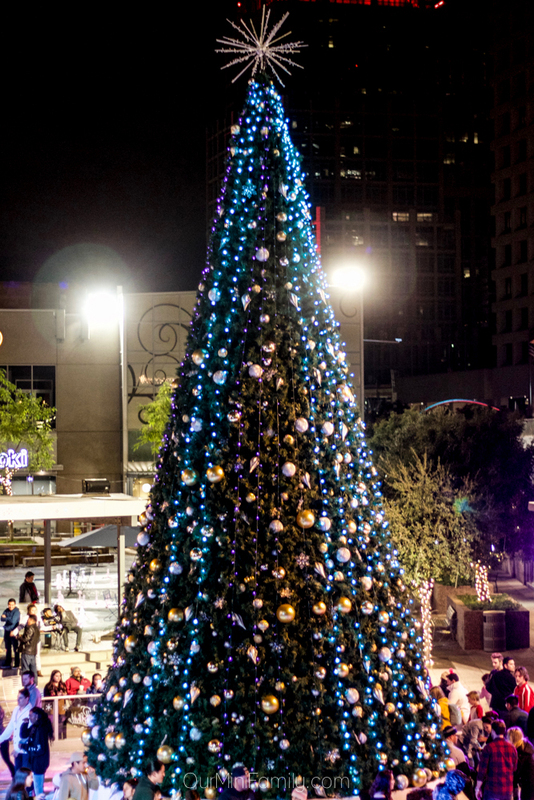 We had a great time enjoying CitySkate after dinner, and then we walked just a short distance back to Kimpton Hotel Palomar Phoenix to climb into bed after a fun day downtown! That next morning, we were able to sleep in and lounge around our room and enjoy some quiet time away from our home offices. 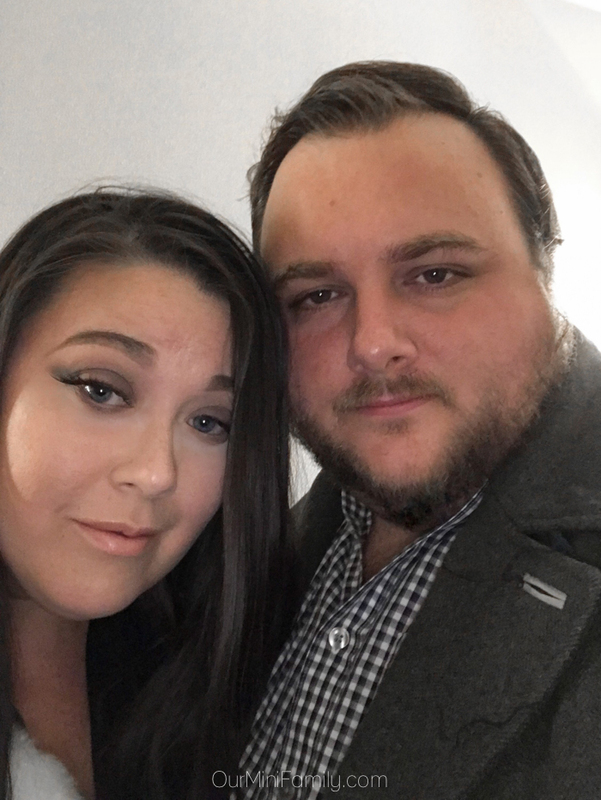 I cannot tell you the last time Adam and I were both able to sleep in together, and it was just a really nice relaxing morning we had lounging around before we checked out of our room at Kimpton Hotel Palomar Phoenix. After a relatively short light rail ride back into the East Valley, we headed home and felt relaxed, rejuvenated, and ready to resume our holiday madness! Are you an Arizona local? 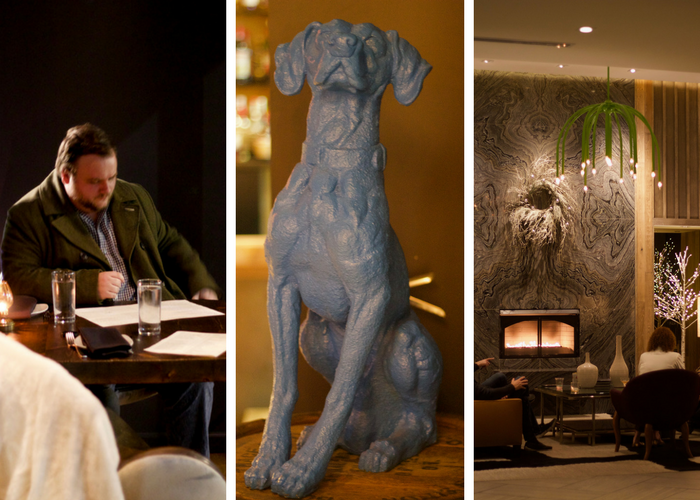 Be sure to check out the "Stay and Skate" package that Kimpton Hotel Palomar Phoenix is offering for a limited time--including a discount on a room, 2 tickets and skate rental to CitySkate, and a discount to enjoy at Blue Hound Kitchen & Cocktails! We think that the "Stay and Skate" package would be a fun date night/quick staycation for a couple looking for a local getaway, or it would be a fun mother-daughter outing if you're looking to take your mom somewhere fun and find something unique and thoughtful to give her for Christmas! 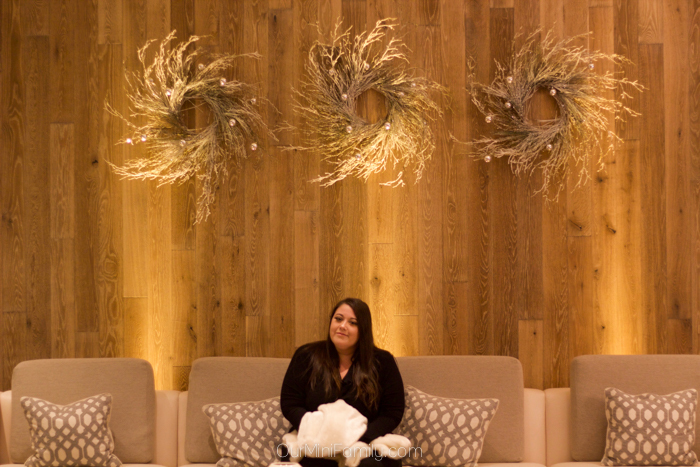 Thank you to Kimpton Hotel Palomar Phoenix for hosting our fun, winter weekend getaway! I need to check this place out. I have been to Phoenix many times and I've always looking for a fun place to go to. Oh my gosh, that place is amazing! I love how cozy and good looking the rooms are, and that tree is one of the best I've seen! I have never been to Phoenix, but have always wanted to visit. This sounds like an amazing place to stay! My kids would love to stay somewhere so close to an ice rink like that. It looks peaceful! What a gorgeous place to have a staycation! 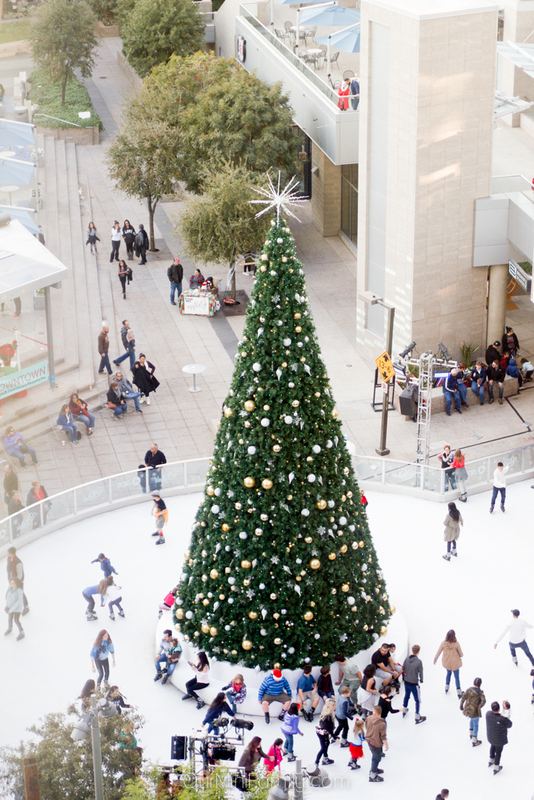 The view of that skating rink alone is enough to put you into full holiday spirit! What an awesome place to spend your vacation in. The hotel is lovely, I really like the modern contemporary interiors! The skating rink is just stunning! Staycations are an amazing way to take a break and see full and exciting things close to home. I love the Christmas tree and decorations in your photos! So festive. It looks like you had a wonderful time in Phoenix. Staycations are always fun. I am lucky I live in a big city and there is lots to explore here. Wow, you so fancy!! This sounds like my kind of staycation!!! That was a great experience. The place is so wonderful. I wish I could go to a place something like this. I have never been to Phoenix, but I definitely want to visit. What a wonderful place to escape to. Who knew that Phoenix could look so beautiful in an icy wonderland! Gosh, what a lovely place to spend some time away from home! I love cozy staycations with great food! A staycation is an awesome idea. The skating rink sure does look nice and what a gorgeous tree. This looks amazing! I have a work tripped planned out their and I hope that they put me up in this hotel. Also, I love your dressed up look! This hotel looks amazing! Would love to check it out for our holiday travels! I have never heard of Kimpton, but then I have never been in Arizona either. You have some beautiful pictures there. I love the ice arena it's gorgeous and so festive. Dinner at Blue Hound Kitchen and Cocktails sounded very impressive also! The place looks great. Would love to visit and stay there for few days! What a fun looking trip! That tree is amazing! I'd love to visit someday.